Dr. Kurtz joined the faculty in 2003 and teaches in the undergraduate and graduate nursing programs. Prior to teaching at Valpo, she was a clinical nursing instructor at Rush University and practiced as a Psychiatric Clinical Nurse Specialist in the hospital setting. She specialized in psychiatric nursing in 1988, working in care facilities and outpatient settings. Currently, she maintains a part-time practice at Parkdale Center for Professionals, which provides addiction treatment for nurses and others. As a co-leader of an undergraduate research team, she collaborates with students on studies about substance use on campus and other topics. She has a special interest in experiential teaching strategies and has developed simulation experiences in the psychiatric/mental health nursing course. 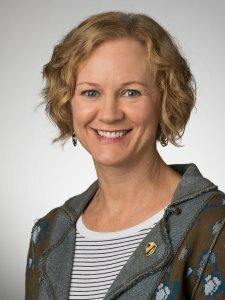 She has published articles in Nursing Education Perspectives, Nurse Educator, and The Journal of Nursing Education and Practice, and has provided many oral and poster presentations at various nursing conferences. She is a member of Sigma Theta Tau International, the American Psychiatric Nurses Association, and the American Society of Addiction Medicine. In 2011, she received the Valparaiso University DNP student award.